A post on salamancastreets featuring a close encounter with a frisky bull and a less than adequate fence, (two) group(s) of brightly clad bikers, a couple of donkeys, some bees and some very friendly locals in a bar in Peñacaballera. 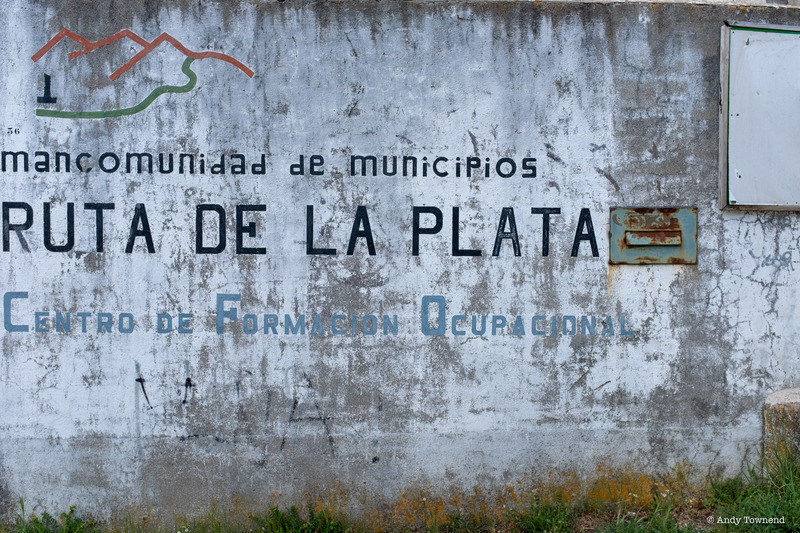 An expedition along the Ruta de la Plata which traces the path of a still visible Roman road known as the Via de la plata. Along the road which winds its way from Mérida to Astorga, we had a close encounter with a frisky bull and a less than adequate fence, (two) group(s) of brightly clad bikers, a couple of donkeys, some bees and some very friendly locals in a bar in Peñacaballera.